On Saturday August 29 at 11am a Mississippi Blues Trail marker will be dedicated in downtown Como in honor of the late fife and drum musician Otha Turner. The ceremony is scheduled to include performances by Jimbo Mathus, Mark Massey, and the Rising Star Fife and Drum band, featuring Turner’s granddaughter Sharde Thomas on fife and vocals. This will be the 82nd Mississippi Blues Trail marker to be dedicated since the first was unveiled in late 2006. A marker for Mississippi Fred McDowell was unveiled in Como on May 7, 2009. The marker, which was partially paid for with funds raised at the annual North Mississippi Hill Country Picnic in Potts Camp, is being dedicated in tandem with the annual fife and drum picnic and goat roast held on Turner’s property in nearby Gravel Springs. Visitors to the marker unveiling are encouraged to attend the picnic later in the day. The two-day event begins early Friday evening. Turner (ca. 1908 – 2003) was the most famous exponent of the north Mississippi fife and drum tradition, which was first documented by folklorist Alan Lomax in 1942. Other local fife and drum performers noted on the marker include brothers Ed and Lonnie Young, Napolian Strickland, R.L. Boyce, Sid Hemphill, and his granddaughter Jessie Mae Hemphill. The Hemphill family is scheduled to receive their own marker in nearby Senatobia in the future. Although the local fife and drum tradition is often described as sounding “African,” its origins likely stem from African American musicians transforming the Euro-American military fife and drum tradition with African and African-American musical influences. The local tradition is thought to have started shortly after the Civil War. Unlike the military groups, the north Mississippi fife and drum bands played mostly at social events, often picnics held around the 4th of July and Labor Day. The groups’ repertoires included spirituals, instrumentals, minstrel songs, and blues, such as Sitting On Top of the World and My Babe. Otha Turner (his name is sometimes spelled Othar or Other) was born in Rankin County, but moved as a small child to north Mississippi. He received his first fife from a neighbor as a boy, and was soon making his own instruments, using a heated metal rod to bore out a piece of cane and create mouth and finger holes. Turner worked as a farmer for most of his life, and for many years hosted annual fife and drum picnics and goat roasts on his property in Gravel Springs. For many years he played drums together with fife player Napolian Strickland, and later formed his own group, which featured members of his family including his daughter Bernice Turner Pratcher and granddaughter Sharde Thomas. 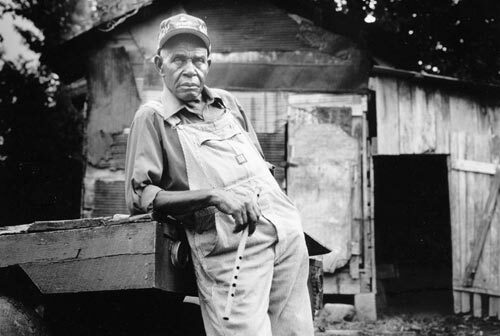 Turner was first recorded in the late ‘60s and in the 1990s recorded two CDs under his own name, Everybody Hollerin’ Goat and Otha Turner and the Afrossippi Allstars, both of which were produced by Luther Dickinson of the North Mississippi Allstars. In the 1970s Turner was profiled in the documentaries Gravel Springs Fife and Drum and The Land Where the Blues Began, and he later became a regular performer at events including the Delta Blues Festival and the Sunflower River Blues and Gospel Festival. In 2003 Turner was featured in the Martin Scorsese blues film Feel Like Going Home, and his music was also used in Scorsese’s film Gangs of New York. Upon Turner’s death in 2003 his then thirteen-year-old granddaughter and protégé Sharde Thomas took over leadership of his Rising Star Fife and Drum Band.